So, about that two-thirds vegan diet … Oh, no worries, we’re still on it and still successful. Yay us! There is one small side effect, however, that I need to address. I get a vacant-minded, mad-hungry feeling around lunch time, and no matter how much I eat, I’m still kinda not all there. I’m thinking I may need more protein around then. I’m no nutritionist, but I do know that a not-so-magical combination of certain beans and grains form a perfect (or close to it) protein. Do red beans and rice stave off the protein cravings enough so you don’t go chasing the nearest cow? I’m pretty sure they do. In search of a protein-packed lunch option, two recipes found their way to me. The first just happened to be one of many Turkish recipes found in last Wednesday’s Boston Globe. Middle Easterners boy, do they know how to make huge flavors in vegan meals. Below is the recipe with a few changes as noted. -In a soup pot over medium heat, heat up butter or oil. Cook up onion until softened, about 5 min. Stir in tomato paste until blended in – 30-60 sec. 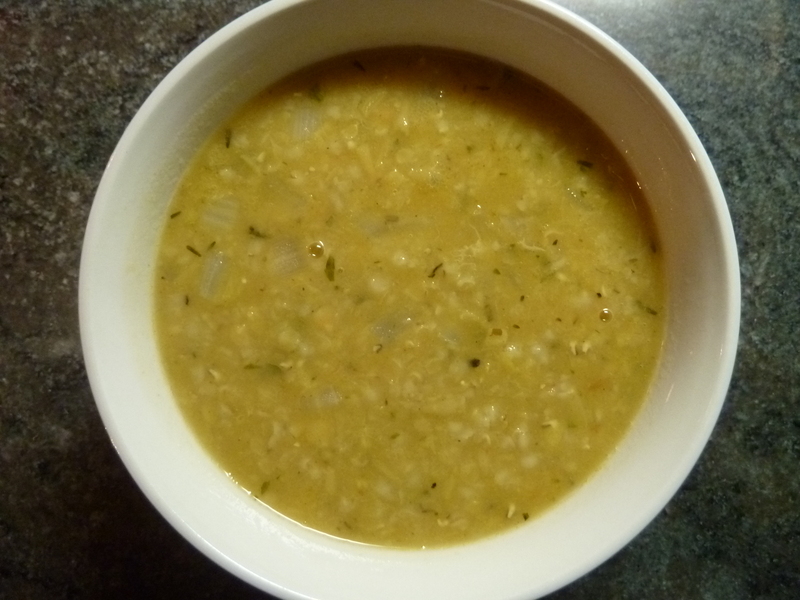 -Add bulgur, lentils and stock. Boil then simmer on low heat, pot covered. Let it simmer for about 30 min until lentils and bulgur are tender. -Add mint, thyme, red pepper, salt and black pepper and simmer a few more minutes to meld the flavors. Use RED lentils, not green. Red lentils tend to break down further than green, creating more of a mush or, when in a soup, it’s more of a thickener. You can use green but, well … I wouldn’t, not for this soup. We actually had this last night for dinner, served with hunks of fresh bread (I’m still baking!) 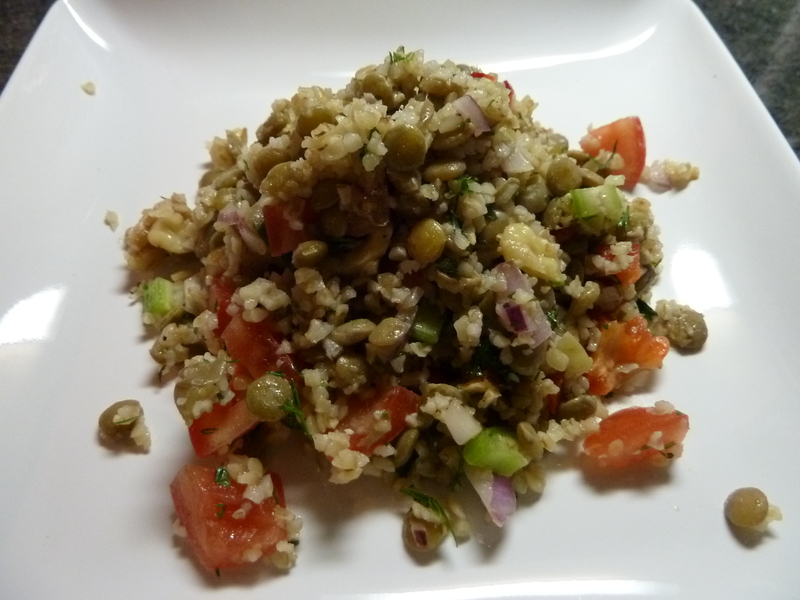 and a side of lentil-bulgur salad—another high-protein dish. I’ll give you that recipe tomorrow. That is a seriously tasty salad. You are currently browsing entries tagged with bulgur at The Dainty Dot.